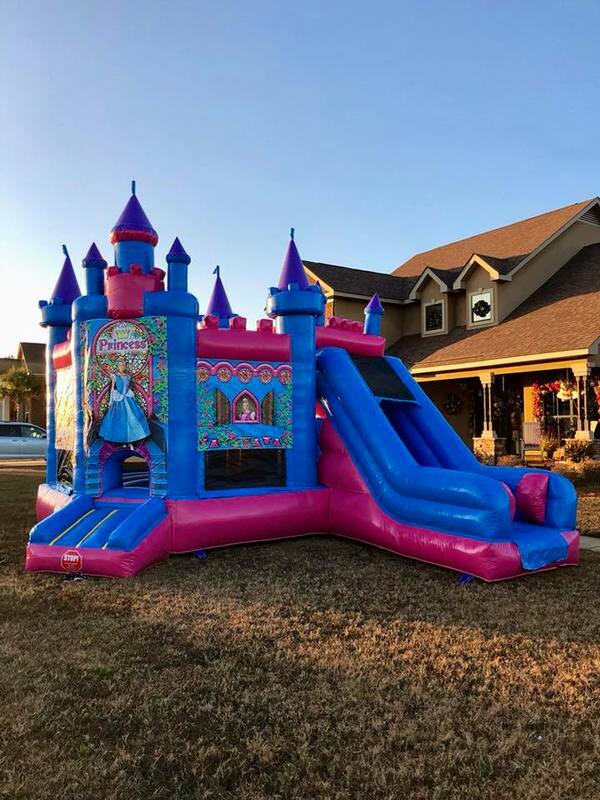 This is a large inflatable princess bounce house combo that includes a bouncing area with pop-ups, indoor basketball goal, and a climbing and sliding area. 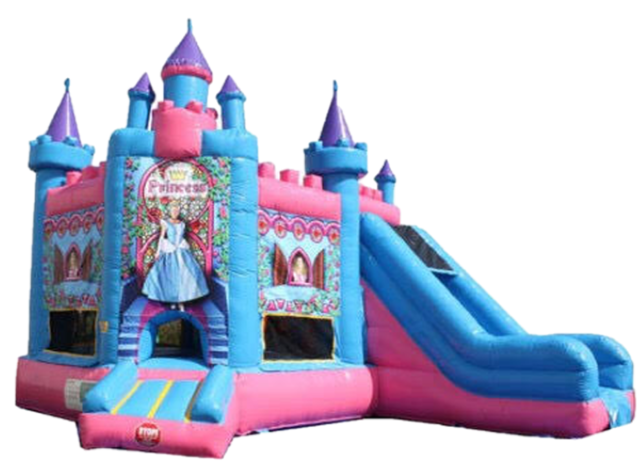 This would be perfect for you daughter's princess brithday party. This unit is a dry inflatable only. You cannot use it as a water slide. We offer free delivery to North Mobile county (Saraland, Satsuma, Creola, Chickasaw, Eight Mile, Turnerville, and select areas of Mobile). Call, text, or email if you fall outside of these cities to see about delivery.